How to draw Anime Haruhi Suzumiya. Learn from basic sketching to finish drawing quick Anime character sketch Haruhi. You will learn how to draw face, hair, eyes and body with clothing from this easy to follow drawing Anime tutorial. We have both Video drawing tutorial along with step by step easy to follow. In this one, I just use regular white paper, 3B pencil and eraser. Now let’s draw. Haruhi Suzumiya 涼宮ハルヒ is the general name for a series of light novels written by Nagaru Tanigawa and illustrated by Noizi Ito which were subsequently adapted into other media. The story follows the title character Haruhi Suzumiya, a high school girl who can unconsciously change reality, and her strange antics with her school club, the SOS Brigade, which she founded to investigate mysterious events. Here is a quick drawing of Haruhi. 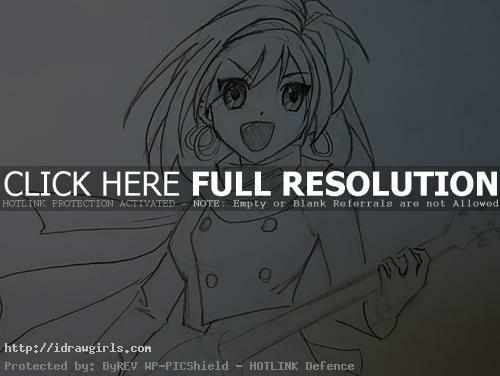 Watch video tutorial how to draw Haruhi Suzumiya. 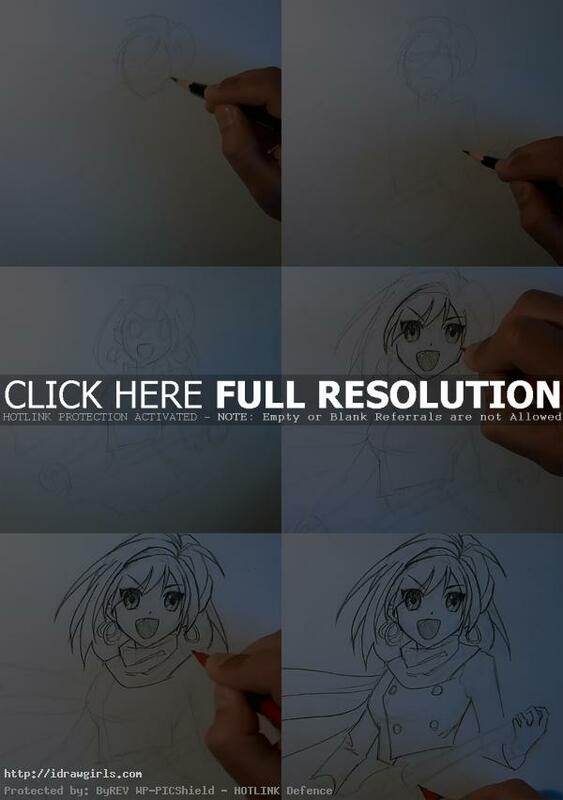 Below are step by step tutorial drawing Haruhi along with the video instruction. Step one, I sketch out her head shape and hair using very light line. Step two, I draw the body and left arm below. Step three, now I went into her face and start drawing rough sketch of her eyes with eyebrows, nose, and mouth. Step four, once I had the facial structure sketch out, now I can draw the darker line as final drawing. Step five, I continue to draw her hair along the initial sketch line. At this point, you can tweak her spiky hair thick to thin, short to long as you like. Step six, I draw the darker line over the initial sketch line throughout the body. Done! Watch the drawing video tutorial for more detail instruction.